This short film sheds light on the inseparability between the culture of imitation and creativity that lives within craftsmen’s skills, memories and experience in Jingdezhen, China. 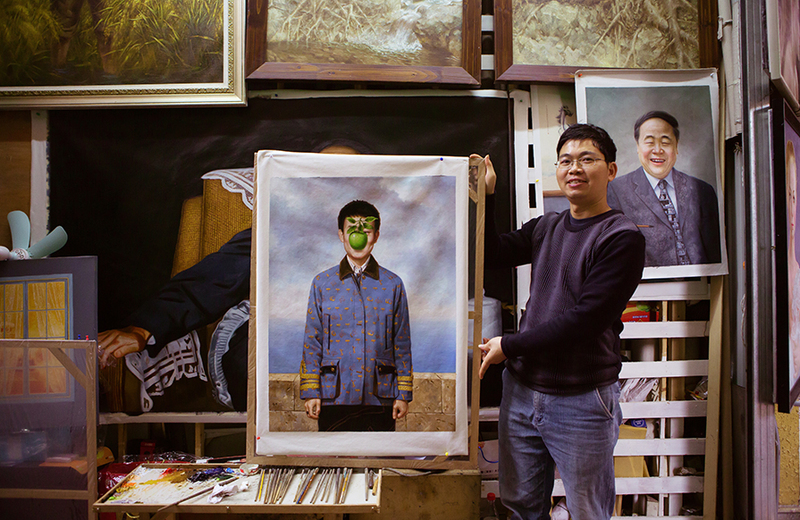 Through craftsmen’s own voices as well as those of local residents, this film reveals the evolving role of imitation in the contemporary Chinese context that has constantly traveled through dramatic political, economic and social changes. Moreover it also invites the audience to rethink the critical relationships between imitation and creativity in a globalising world. ‘Imitation, imitation’ uncovers the social, political and economic implications of Chinese imitation culture and stimulates a positive future through my direct interventions. I have taken on the guise of an agent and am managing two research-practices simultaneously under different social contexts. In China, I have proposed a new production model for craftspeople in Dafen village and Jingdezhen to imitate and create at the same time. Together, we co-produced a series of improvised products that sought to inspire the imitators to explore their imagination and creativity. In London I introduced Chinese imitation culture through a workshop with the absurd aim of drawing perfect circles.